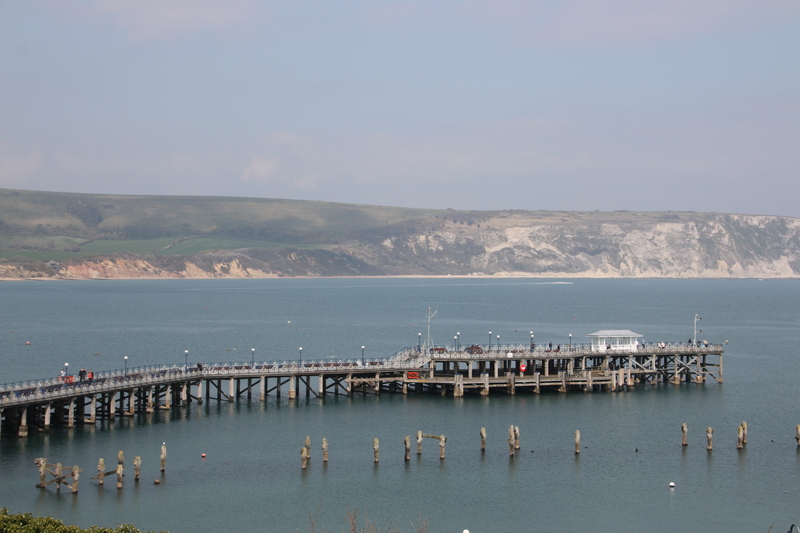 I leave Weymouth and its soft sands and head to Lulworth Cove where the pebbles reappear. 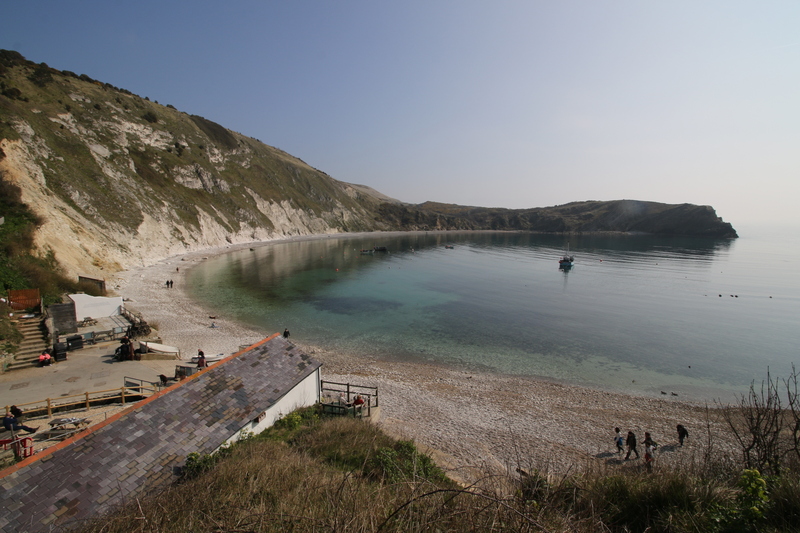 If you ever pictured a typical cove on our long & varied coastline then Lulworth Cove fits the bill in every way. You can see where the waves have forced their way through the hard rim of the coastline and eroded the softer rock behind to create a crystal clear bay, fred by a trickling stream. 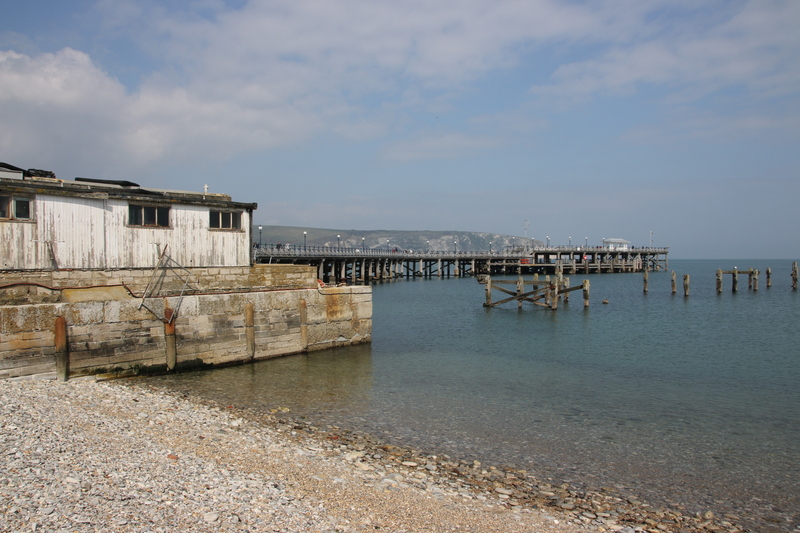 Swanage is my next stop. I wasn’t really looking forward to my visit, remembering from past experiences nothing of particular interest. 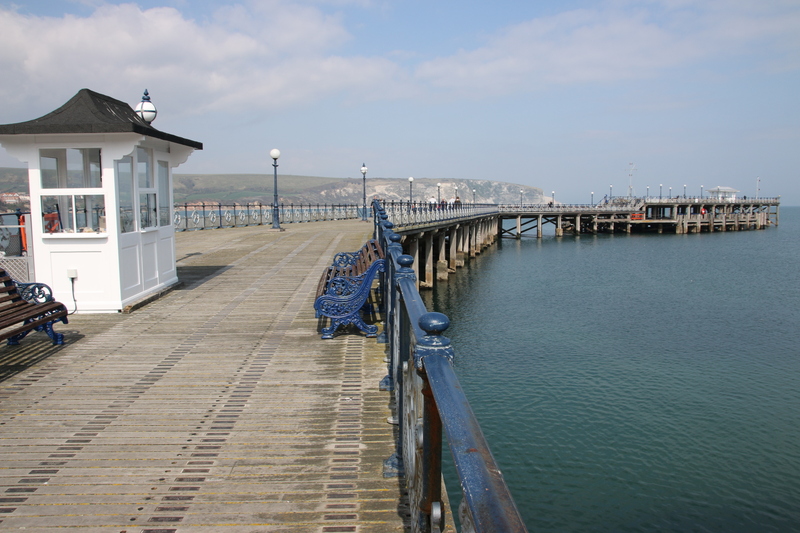 I must never have passed the bend because when I did, there, in front of me, is the prettiest pier I’ve seen on the UK coastline so far. 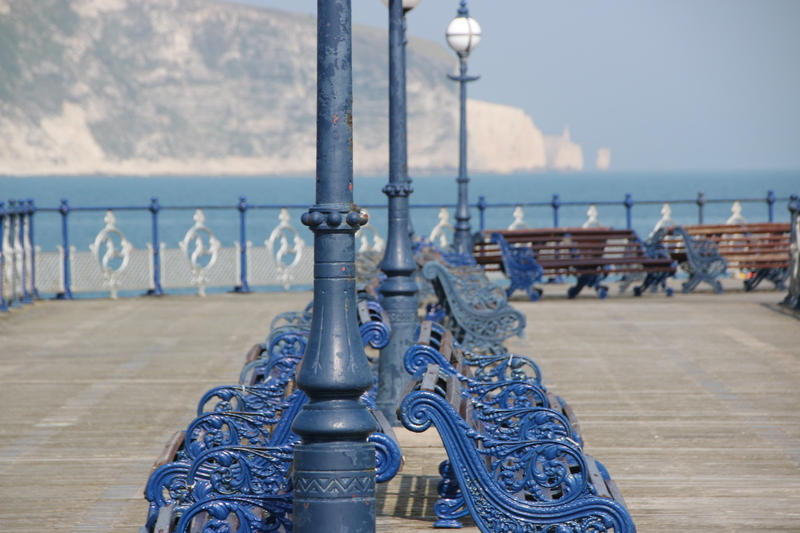 It is built in wrought iron, painted white and blue. It is quite small with good lines and a kink in the middle. The white limestone cliffs give it a wonderful backdrop. 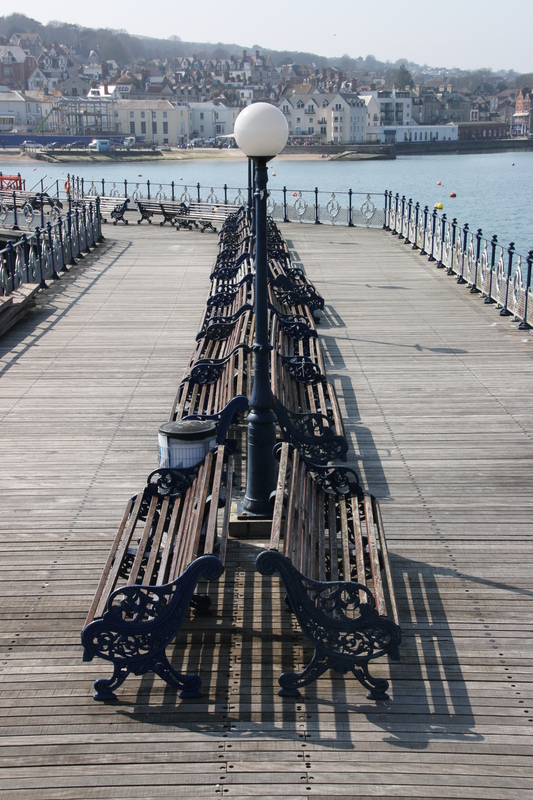 A small, well maintained, classic pier that just oozes class. 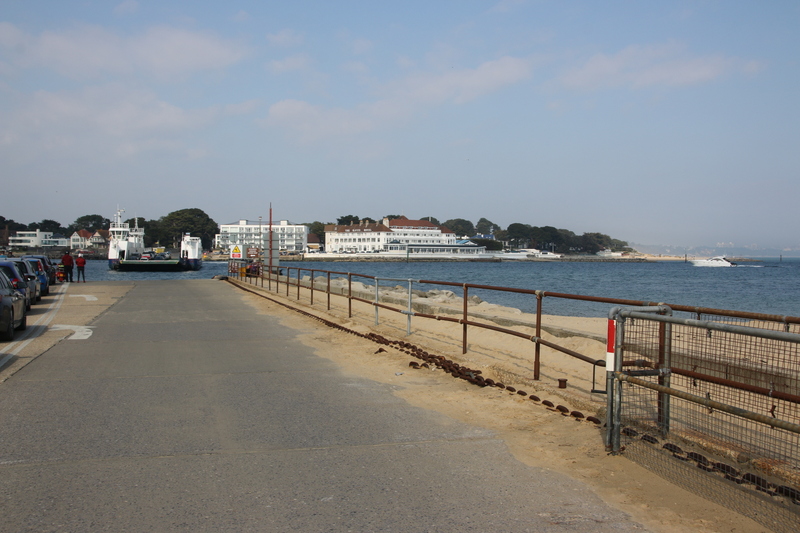 I take the longer route via Studland and its wonderful, long, duned sands. 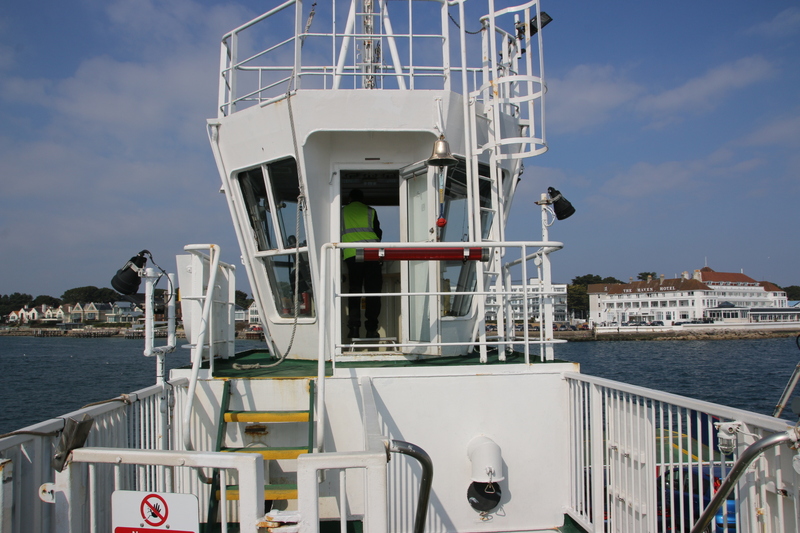 and catch the ferry across to Sandbanks. 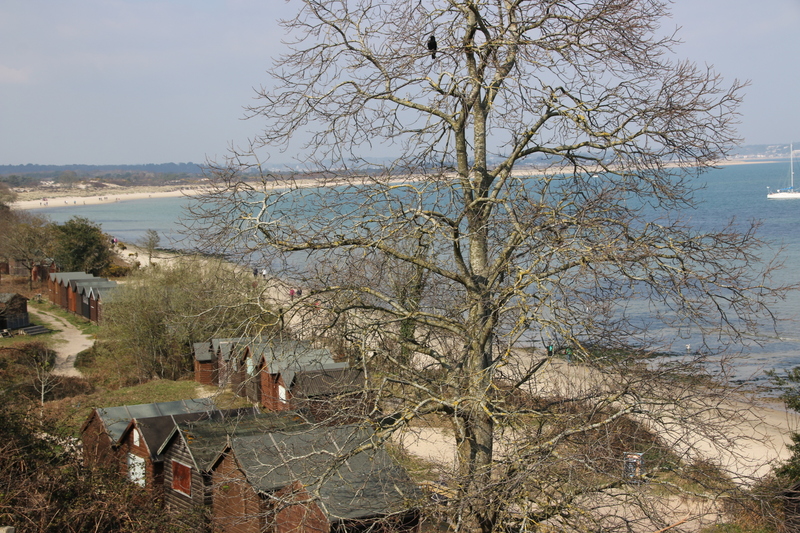 Did you know that Sandbanks has by area the fourth highest land value in the world? I know Harry Rednap lives there but we don’t all want him as a neighbour. 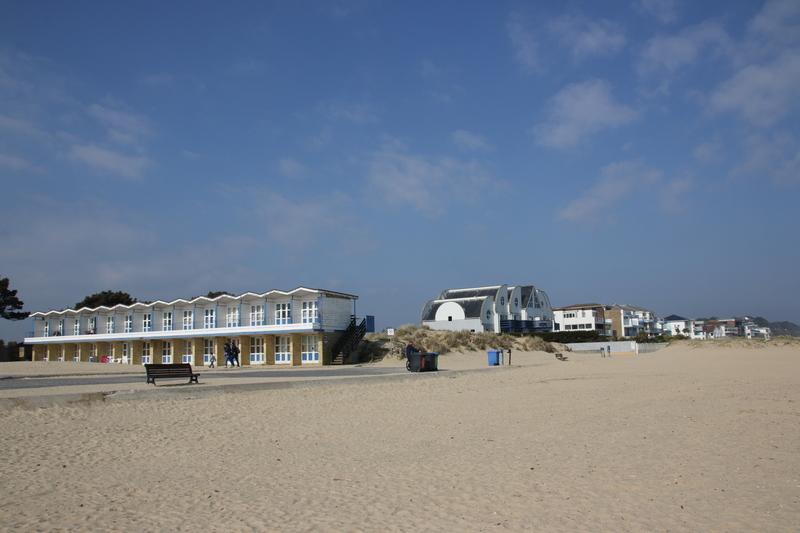 Hey, they may some posh, two-tiered, 60s beach huts but they don’t have a pier of any description. Now home. 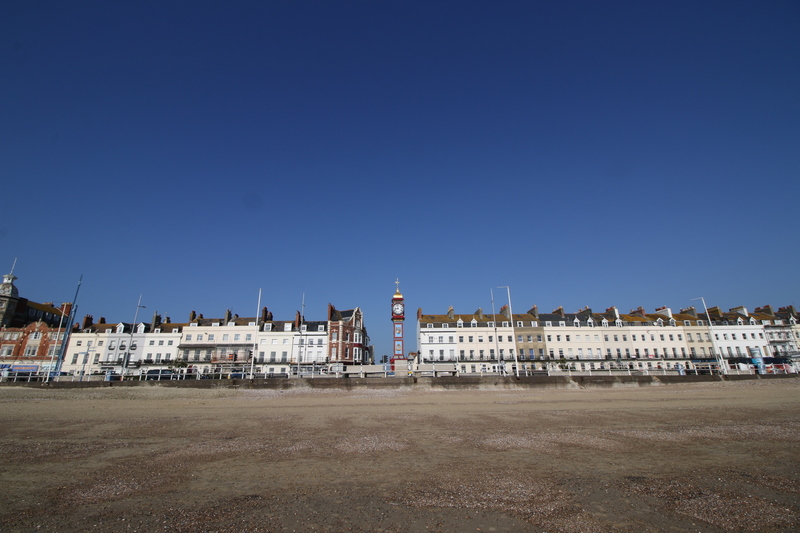 A great trip in with blue skies and brilliant weather.